Part of an overall plan to enhance the quality of Edenvale Park, the Albert-Eden Local Board wanted to create a new high-quality playground. The equipment chosen had to complement the surrounding site and area’s character, while catering to various age groups and abilities. With uneven land and sloping surfaces, the park’s position posed significant challenges. 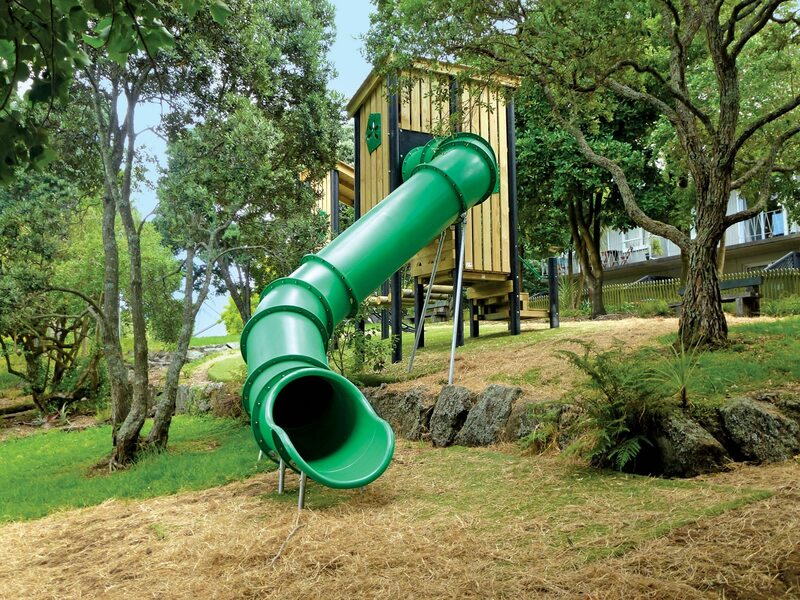 The new playground incorporates a wooden fort structure and feature slide, which was custom designed to suit the natural contours of the site, and blend beautifully into the natural environment. 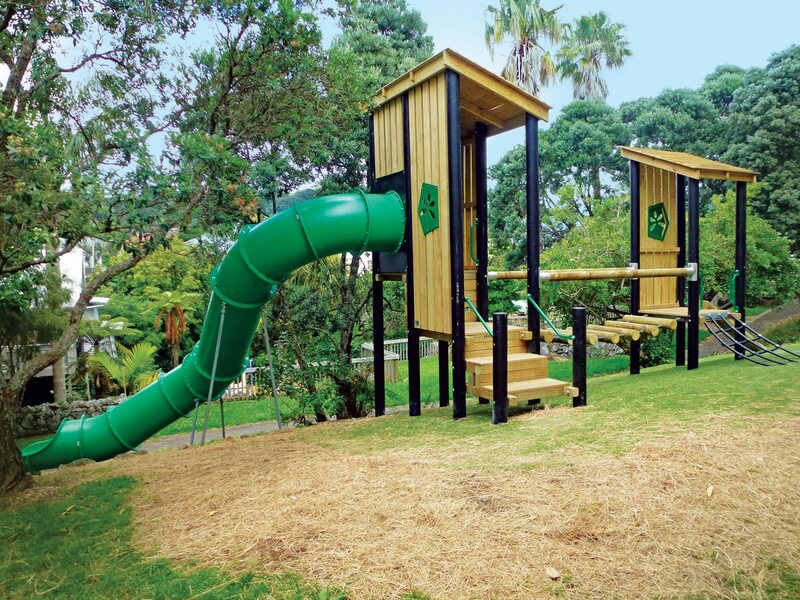 Playground Centre’s specialist slide software was used to streamline the design, supply, install and certification process. 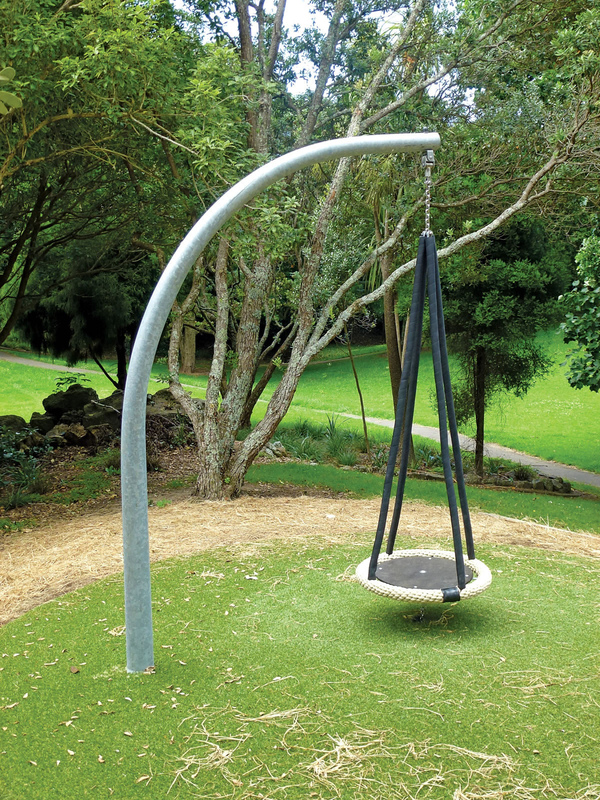 With opportunities to climb and balance, as well as swing on an accessible ‘flying saucer’ close to the ground, the park offers fun for everyone.